Every member of the Robuck Team is selected based on key Robuck attributes; attitude, customer focus, ability, integrity, intelligence and diligence. These attributes are present in every team member and ensure that we maintain the highest standards and service levels. As part of our commitment to service excellence, Robuck Security maintains an audited Quality Management System. We have a strong focus on sustainable growth, and have implemented internal controls to ensure that before we take on any new work we assess whether it will affect our capability to service our current clients. This process has helped us to develop long term relationships with a client base that will confirm that we have the highest levels of experience, ability and customer focus. We believe this approach has consolidated our reputation as one of the finest providers of quality security services in the industry. Within the established and proven parameters of the Robuck Security Plan and our Quality Assurance Systems, the role of the Robuck Management Team is to work closely with our clients to identify and confirm your requirements. The responsible member of the management team is then accountable for establishing and implementing your Robuck Security Plan. Specific Operational Staff are assigned to each site to ensure continuity and service quality and, working under the direction of the management team, the operational staff are briefed on all aspects of the Robuck Security Plan. Operational staff are supported on a day to day basis by our management team and backed up by our other associated functions of security electronics, patrols, alarm response coordination, and an expert team of Security Advisors. 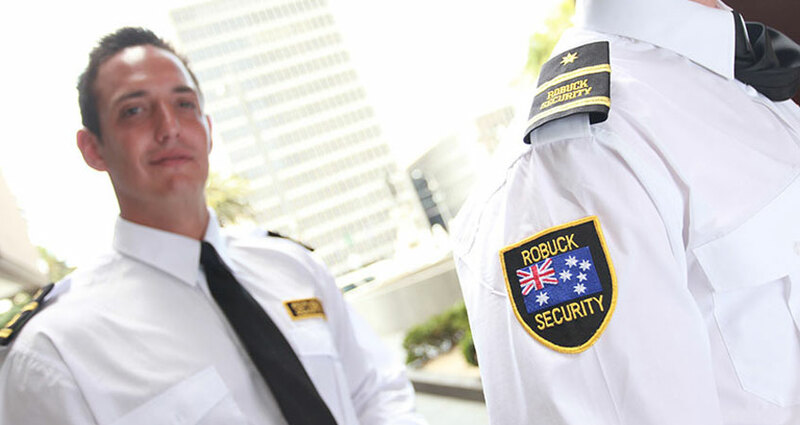 Robuck Total Security delivers complete peace of mind for our clients.